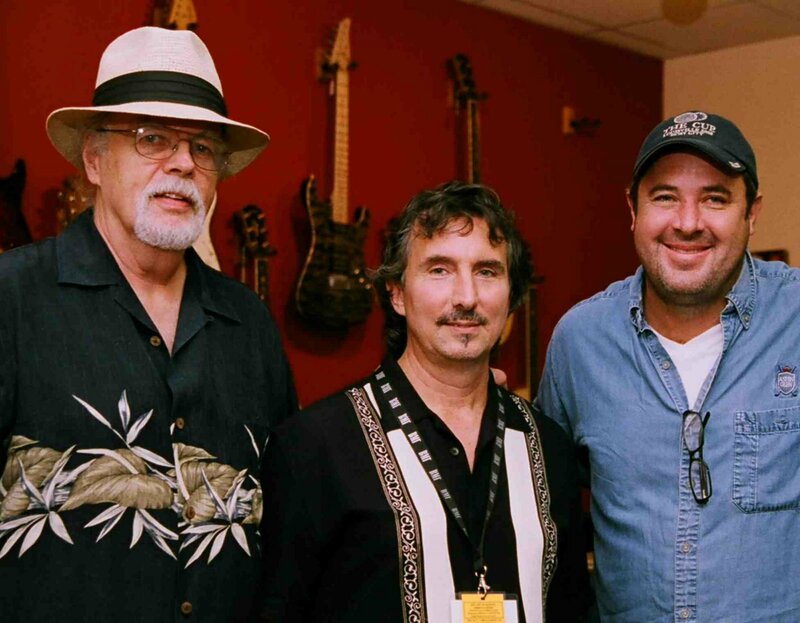 Sam Bush, Vince Gill, Dan Cary, Curtis Burch and other former members of the New Grass Revival & Bluegrass Alliance participate in The Bluegrass Hotel Film & Recording project which was launched at the 2008 International Bluegrass Music Association (IBMA) convention. Sam Bush, Vince Gill, Dan Cary, Curtis Burch and other prominent former members of the New Grass Revival and The Bluegrass Alliance – two of Bluegrass music’s most influential bands participated in the successful launch of a major Film and Recording project at the 2008 International Bluegrass Music Association (IBMA) Convention in Nashville on 30th Sept. The project is titled The Bluegrass Hotel, based on the old Victorian mansion in Louisville, Kentucky that was a key component of the Bluegrass scene and the residence of major music artists during the Newgrass era of the 1970s. Sam Bush, the father of the New Grass style of Bluegrass music, was joined at the IBMA Convention launch event by alumni of the New Grass Revival and The Bluegrass Alliance during a showcase that included Alliance co-founder and guitar flatpicking legend Dan Crary, Curtis Burch, Danny Jones, Buddy Spurlock, Jack Lawrence, Tony Williamson and many others. Fred Bartenstein, prominent Bluegrass music historian and consultant to the project, presided over the showcase that featured music performances by Sam Bush and the alumni of the bands, a slide show presentation on The Bluegrass Hotel by its owners and project co-producers Harry & Ann Bickel, and an overview of The Bluegrass Hotel Film and Recording project by co-producers and Bluegrass Alliance alumni Bill Millet and John Jump. â€œThe Bluegrass Hotel was a both a musical breeding ground and residence for world class pickers that included Vince Gill, Tony Rice, Bela Fleck, Jerry Douglas, J.D. Crowe, Doyle Lawson, Tony Williamson, Jack Lawrence and many others who made The Bluegrass Hotel the place to be, exclaimed John Jump during the announcement. The centerpiece of The Bluegrass Hotel project is a documentary Film, which will include 1) reality-based storytelling and jam sessions scheduled be filmed at the legendary Bluegrass Hotel during the late fall of 2008, 2) a 2009 live concert with prominent alumni of the New Grass Revival and The Bluegrass Alliance in Louisville, Kentucky, and 3) archival video of historical performances by The Bluegrass Alliance and New Grass Revival in the 1970s. A coffee table Book, LP record with mp3 download card, DVD and CD will be launched in conjunction with the national broadcast of the Film, which is anticipated for the Fall 2009. As stated at the IBMA launch event, proceeds of The Bluegrass Hotel LP, DVD and CD will benefit the Foundation for Bluegrass Music, the International Bluegrass Music Museum and the Bluegrass Trust Fund. â€œThe Bluegrass Hotel was Louisville, Kentucky’s equivalent of the Buena Vista Social Club in Havana, Cuba (the award winning film by Ry Cooder); the scene of stellar all-night jam sessions, tall tales, world class pickers and vintage instruments galore reflected Fred Bartenstein, Bluegrass music historian and consultant to the project. 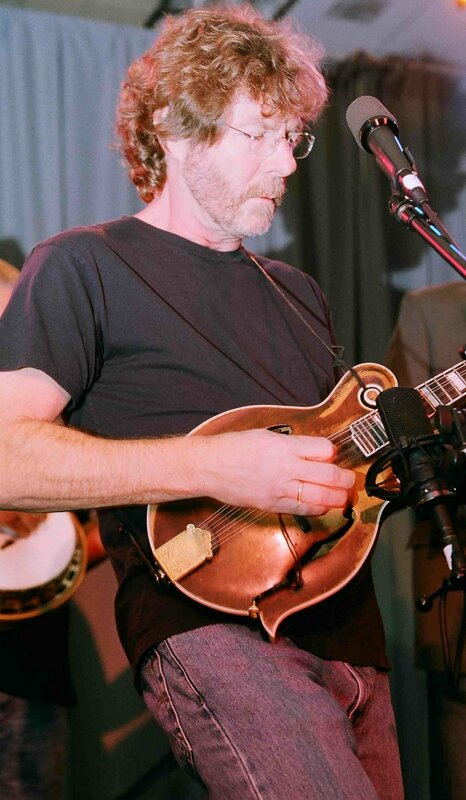 If it wasn’t for The Bluegrass Hotel, I don’t know how a lot of young Bluegrass musicians could have moved to a different city to learn how to play music, said Sam Bush, former member of The Bluegrass Alliance, founder of NewGrass Revival and Bluegrass Hotel perennial. It was like that old song, ‘The Door is Always Open‘, said Bush. You were always free to stop by. 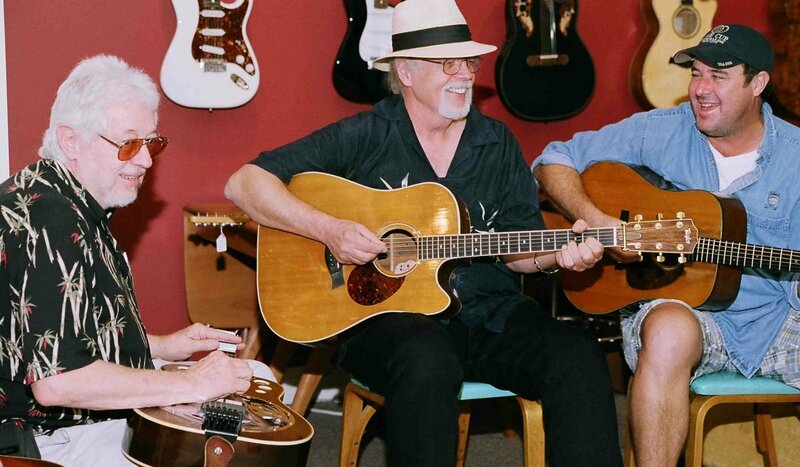 On the following day (Oct. 1), Bluegrass Alliance co-founder Dan Crary continued the odyssey with a sojourn to the Mecca of vintage instruments, Gruhn Guitars in Nashville, Tennessee. Its proprietor George Gruhn, recognized as one of the world’s leading authorities on historical and fine instruments, graciously opened the doors of his emporium to continue the filming and recording with Bluegrass Alliance alumni Vince Gill, Curtis Burch, Tony Williamson and Marshall Billingsley, who jammed and swapped tall tales about the old days with Dan Crary, guest artist Chris Eldridge from The Punch Bros., banjo player Terry Baucom, co-producer Bill Millet, and Harry & Ann Bickel. Dan Crary was also at Gruhn Guitars to continue adding segments to his film about the history of the guitar called Primal Twang, due for release in 2009. Important segments included Dan performing Bluegrass standards on his Taylor guitar with Vince Gill and Chris Eldridge, both of whom played vintage Martin guitars from Gruhn Guitars awesome collection. In my estimation, these fine, vintage instruments are living entities that come alive in the hands of great musicians, like those present here today, exclaimed George Gruhn, who also contributed important segments for the Films. We are just the temporary custodians of these instruments, and I’d like to think that I’ve done my part to be a conduit to place important instruments into the hands of the great players. Dan Crary heartily agreed. Submitted by Bill Millet – Bluegrass Hotel.